Possibly one of the easiest forms to shade, the cube does prevent a couple of challenges. 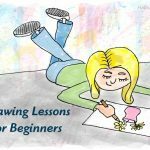 Today I’ll help you discover some of the mistakes beginner artists make when attempting to learn to draw. Since a cube is geometric in form it does make logical sense to use a system of perspective to draw the cube. I don’t want to turn this into an article about drawing perspective right now, only because that will become too lengthy of a discussion and dilute the focus of this series of articles which is how to shade forms to make them look realistic and 3D. 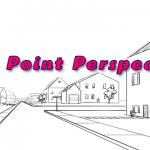 The easiest method of drawing a cube is by using the One Point Perspective method of drawing. I’ll spare you all of the intricacies of using such a method of drawing here. Lets just say, you can draw a three-dimensional looking cube simply by connecting its front corners to a single point. As always, draw your outlines lightly because you’ll want them to disappear by the time you are finished shading in the cube. Outlines will detract from the overall realism of the drawn cube and are just there to guide you at the start of the drawing. The shading of the cube deviates drastically from the other, rounder forms such as the cylinder, cone, and sphere because the cube is made up entirely of flat sides. Under most normal lighting conditions this results in all of its sides appearing as one Even Value. When shading the cube please assign an even value to each side; do not use any value gradations. When an object has a flat side, that side should be shaded in with one even value. You’ll notice that the drawing of the cube has different values assigned to each side. That should come as no surprise to you because at this point you are well aware that light reflects differently off different parts of objects with varying intensity rendering them a multitude of different values. 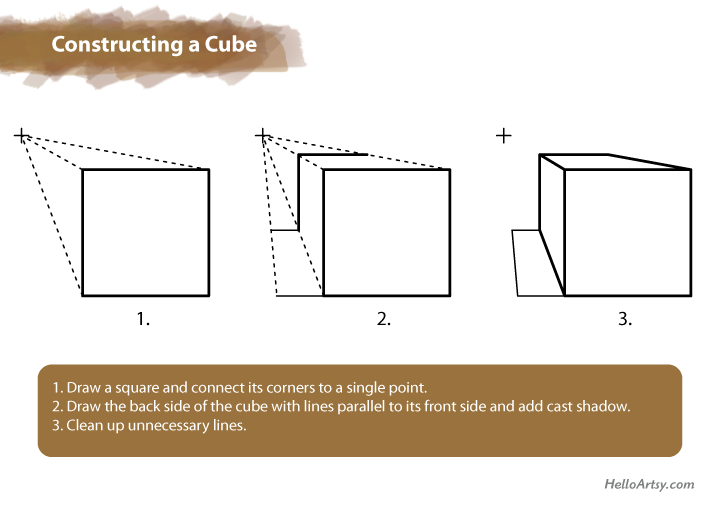 This has been a very simple explanation of the cube and its parts but honestly, that’s all you need to get started drawing realistic cubes. 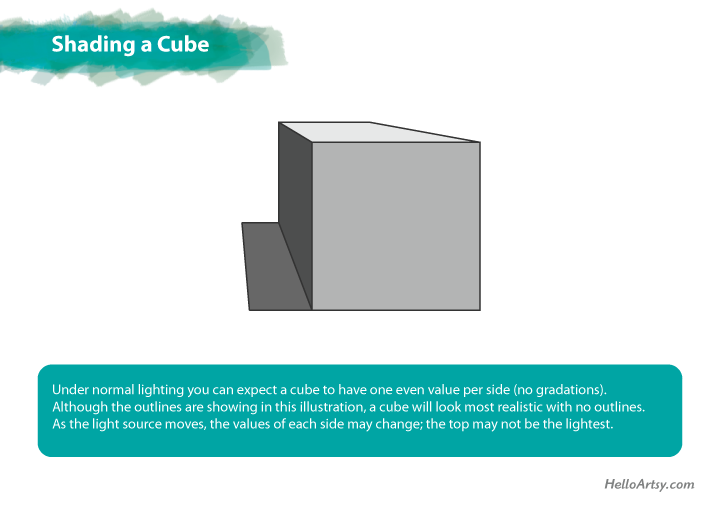 You just need a basic understanding of the form and then your eyes will help you fill in all the nuances when you get around to looking at a real cube under a real light source. What About the Components of the Cube? 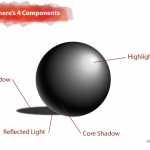 If you have been following along with the previous articles on forms you’ll notice that I did not mention the highlight, reflected light, core shadow, or cast shadow. The reason is: there isn’t much benefit to pointing these components out as the reflected light and core shadow tend to be more confusing in the cube, more confusing than it’s worth discussing. For instance, reflected light can sometimes show up on one or many sides! Even the cast shadow poses some difficulty if trying to draw it from imagination. Don’t worry too much about the cast shadow when you are practicing. When it comes time to draw a real cube-like form, the cast shadow will be easy to see and you’ll have no problem determining its shape! 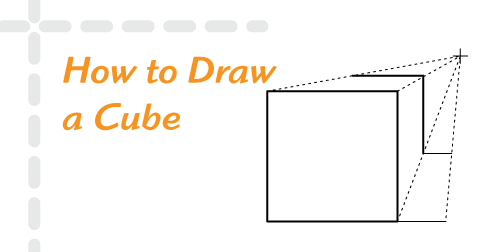 Use some form of perspective when getting started drawing a cube. Focus on making distinct, even values for each side of the cube. Eventually study a real setup and use your eyes to discover the shape of the cast shadow, the values of each side of the cube and all other details that may appear. Putting some mental logic behind your drawing education is highly advisable. It allows you to make predictions about your subject matter and gives you clues as far as what to look for when learning to draw. This logic is merely the beginning though. Sooner than later you will want to study some real objects under real lighting and do your best to draw them realistically. 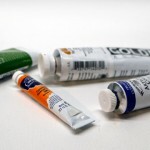 Hopefully you have found some new insights while learning to draw, I would love for you to leave me a comment below!